A few years ago I made this blog entry found here. Recently I rewatched the series after downloading the Crunchyroll mobile game called DanMachi: Memoria Freese because that game is essentially a real fun gacha game adaptation of the anime. Since I am an Amazon Prime member (despite the stupid rise in price) I've also been aware of the spinoff anime called Sword Oratoria available for streaming and I thought that now would be a great time to watch it. I hate the fact that the two different series can't be streamed on the same site, but I guess that's just the business end of streaming world at work. This particular series takes place during the same time as the first series, but the story follows the character of Ais Wallenstein while the main character from the first series Bell Cranel isn't featured much. When the two characters meet up it is the same situations we remember from the first time around, but this time the viewpoint is different and we get to know what Ais is really thinking. It's a neat trick and it works. We're limited to a small number of episodes in this series much like the first one, but with the focus on different characters we also get a different feeling and tone. Ais Wallenstein is scarcely an underdog and her teammates are also stupidly powerful. Bell was the lovable loser, but this cast is the overpowered squad. All these guys can journey down to level 59 whereas Bell struggled with levels in the teens. 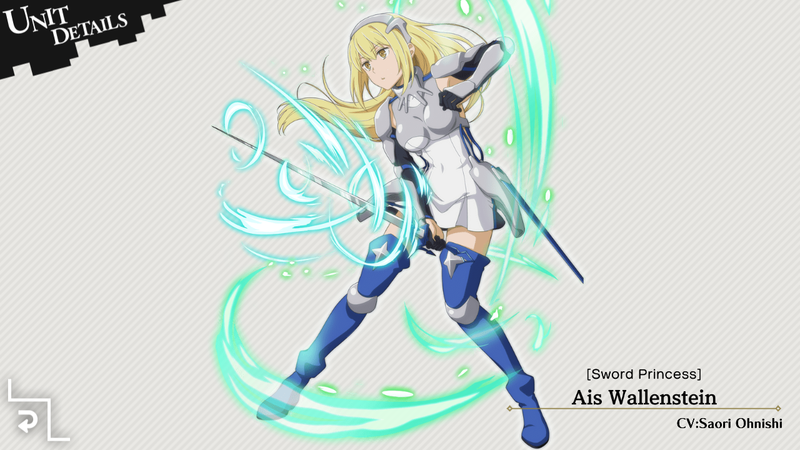 However Ais is an interesting enough character. She struggles with a part of her past which is vaguely hinted at during later parts of the series. Her encounters with Bell are also the highpoint of the series even though they aren't the primary focus. although this card is amazing in the game. Essentially, we get to look at the inner workings of the world of Oratoria and how they relate to Ais and the Lokia Familia. Which is great, but in some places it feels more like Log Horizon then DanMachi. Not that that's a bad thing, but the pacing in this series dragged down a bit by the talking. With all of the main characters being so strong there is a lack of the immediacy that made the first series so compelling. There's just not that much tension. The villains in this series don't really get a time to shine before either being swiftly defeated or just admitting defeat and going into hiding. And that makes for a mediocre series most of the time. This series would also be a lot better if the supporting character Lefiya Viridis wasn't a complete annoyance for most of the series. She gets better after she's introduced to Filvis (who should have had more screen time!) and the two of them bond, but it's hard to imagine that such a whiny and terrified character could be so damn overpowered. Her magic could destroy an entire city of bad guys, but she spends so much of the series whining about Ais Wallenstein not giving her enough attention that it becomes a real pet peeve. Once Lefiya loses the inferiority complex and actually contributes the fights instead of crying in fear she becomes a much better character. I think the main difference between these two series is that Bell didn't know the potential he had but fought anyway while Lefiya knew how strong she could be but was too afraid to fight. When this series does end we are not quite caught up to end of the first series, but fairly close and there is quite a bit of material left loose or sequels in the future. However, I hope most of this material can be covered in a sequel to the main series that features Bell because I find that idea to be much more interesting then yet another spinoff with the overpowered squad. Granted I know Bell will probably get stupid powerful too, but he's a much more interesting character and has so much more potential in terms of story. I want to see how far he can push Ais and vice versa. 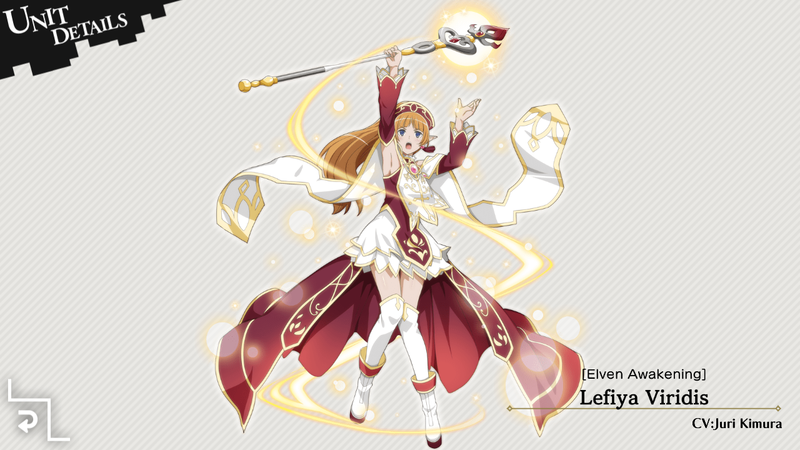 Lefiya needs a bit more of a character makeover before she can be the lead in an anime series. I'd give this series a low B if I had to assign a letter. I enjoyed it, but it felt like a chore sometimes and the first series did things better.